Studio 39 is known for color services. From covering gray to specialized color work, we can help choose the right hair color to match your skin tone and style. Certain color techniques are performed by certain stylists so like hair cutting, prices vary. At Studio 39, we use the color lines we love to work with. We prefer European color companies. Italian lines like Alpha Parf Milano and Artego have a deeper and cleaner dye content than many American lines. Color penetrates hair better without having the use of fillers and harsh chemicals because of the botanical based, micro-milled pigment. This means color attaches well with less ammonia giving the colorist better ability to deliver beautiful results. Hair health is always our priority. One of our favorite lines for blonde work or gray coverage is Parisian hair color L’Oreal Professional. 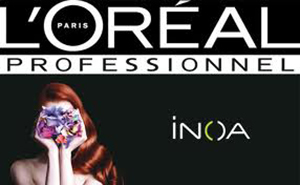 L’Oreal Professional is the world’s oldest professional hair color line and adheres to France’s quality control. We use ammonia free Dia-Light and olive oil based INOA hair color specifically for damage free hair coloring. INOA hair color by L’oreal Professional is our choice for salon guests seeking a healthier alternative to color services. If a client has gluten allergies or severe skin sensitivities we often use INOA for gentle, yet beautiful results. *Though professional, this line shares a name with the well known drugstore line. This is because the two originated under the same iconic brand decades ago in France, but they are two totally different companies with different products and purpose! Loreal Professional was created for European professional salon use. Loreal cosmetics was created with the American consumer in mind as an affordable option for makeup. Whether your desired look is funky or natural, we take the time to evaluate your hair to determine what technique and application is best. Slicing, stitching, and painting are examples of highlighting methods using foil. Contrast work is adding brightness, this is color placement achieved with highlighting. All-over color can be used to cover gray, deepen and enhance natural hair color at the root, freshen ends or make blonde pastel. Every color service is formulated and tailored to each client’s specific style and hair type. For specialty color work, prices will be quoted at the time of consultation. If you’re wanting highlights or blonde work please read the information provided on those pages and about corrective color as well. Corrective work is a broad term we use for color that not only needs obvious fixing but requires advanced blonde work to obtain a certain color goal. We want to provide every guest with the best experience and we start with a required color consultation. We take color work serious, so we do a 30 minute consultation that costs $25 for most new colors. This amount is applied towards your first color appointment. 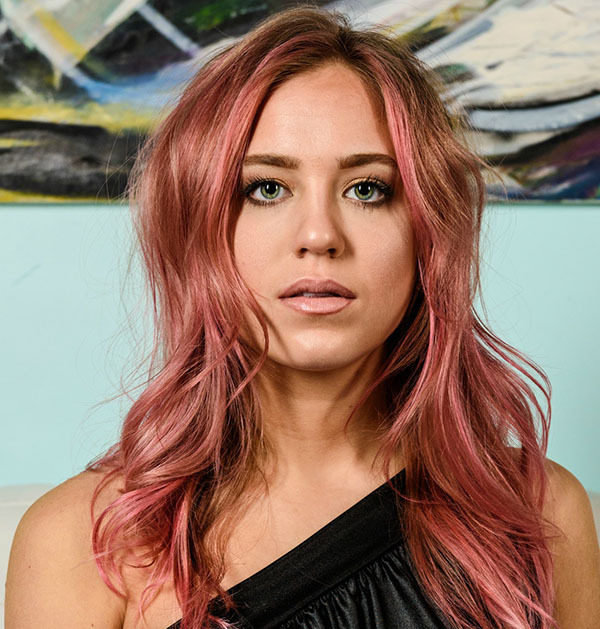 With exception to basic highlights, gray or base refreshing, most first-time color appointments are booked for 2 to 4-hours, depending on hair. Beautiful hair and beautiful color takes time, especially if your hair is naturally dark, long and/or thick. If you would like to book additional services for the same time, like a haircut or blow dry style, allow extra time into your schedule. Once a color regimen has been created we recommend pre- booking future appointments. Please arrive 10 minutes early for your appointment to fill out a color questionnaire. Blow dry and style are usually included for normal hair length. We want to showcase your color in style! If you have had previous color, hair is lighter than your natural color, have very long hair with highlights and color, or have growth beyond a half inch (4-6 weeks), you may need a corrective hair color service. Please see that page and the blonde page. Maintaining a lighter hair color shade requires a regular schedule. If the schedule is not kept, the color may need to be redone. In that case, a “new color client” appointment, as described above, will be required. Blonde is high maintenance! Knowing you will need to come every 4-6 weeks for root touch ups for all over blonde is important. If we believe the service requires more time than scheduled or if you arrive more than 15 minutes late, we may ask you to return another day. We want to serve you, but we want to give the best service. If we’re pressed for time or if we feel perhaps the time booked was not correct, please understand. We strive for good communication but sometimes the wrong appointment is booked, so always ask your stylist when pre-booking what appointment you should book next! You can check out more example of our work on our homepage IG button, or follow us on Facebook for examples of our latest cut and color work. Call (816) 756-1187 to book a consultation. Formula and planning are the most important factors for color. Sometimes maintenance color (like root touch up) is referred to another stylist versed in your color once it’s established. If work is done initially by Megan (salon manager) or Gemy (salon owner) this is especially true because it allows them to be accessible to all guests and staff. We have hundreds of salon customers whom over the years originally came to see Gemy. Some may now see her on occasion, but a majority of their visits are with other S39 stylists. We feel this is a testament her clientele trusts her confidence of the salon’s ability. Personalized service is what we are known for. We like to think of it as a concierge color service because you will always have access to her and the other colorists input as part of our Salon Best Practice. We feel this enhances customer experience, but will always take note of your personal service and stylist preferences.